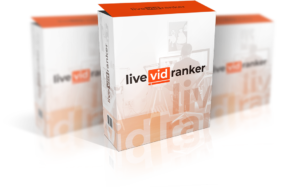 In this post, you will be learning How to Rank Youtube Videos on Top while looking LiveVidRanker Review. We will also take a look at the Pros & Cons of this app and How this is different from other tools in the similar segment. You will also get to see how to Automate Live Streaming in your Youtube Channel with almost no other tools. LiveVidRanker is a Cloudbased App and once you get the Login details, all you need is upload your video to the app and then select the keyword that you wanted to rank for. The tool will actually take care of updating & creating multiple instances of the Streams all on completed autopilot. This app can help you Rank your videos higher on Google & Youtube by blasting a good amount of Live Events on your Youtube Account at the specified time. 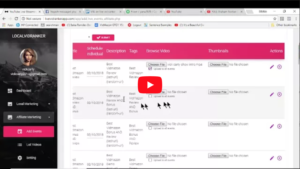 It uses a list of auto generated keywords as titles to your videos, which can help you get subscribers whose search intent is in different ways. If you have ever used LiveStreaming in the past, you know how important & tedious it is .. right? With this app, the best part is .. all of that is taken care by them. There is no need to setup OBS studio account, no need to worry about the keys and connectivities. All you need is an Authorization from Youtube (which is very simple & can be done in less than a minute). Once you have that setup, the next part is to just update the keyword for which you need to live cast your videos. During this step, you can see that the app is going to create a variety of combinations for your keyword automatically and list them as different Live Stream Events. You also have an option to Edit the Video, Titles & Description at each video level or as a bulk update. Once the initial setup is done, you can pretty much chose to run the Live Steam at a specific time of your own and No Need for you to be in front of your pc or no need to even turn ON your Internet connection during that time. They are going to setup the streams using their resources. This is an Exciting this for many different reasons. Many a times, it is not possible for you to be available right exactly when the product is getting launched. This tool is going to take away that concern pretty easily. You can use this app even if you are an Affiliate Marketer who is trying to do Product Launch Jacking or a Video Marketing agency that is helping Local Business owners to rank their videos higher. You can use this tool for bother Personal use & Commercial use. You can get the exact details of Pricing and packages below. But, before we go further, let’s understand the Pros & Cons of this tool. Usage of THEIR resources Vs OURs – This might not be a big deal, if you are always available or if you have a spare laptop or pc to run your live streams. But, if you do not have funds to source these extra things, this app is the Best choice at a much CHEAPER cost. Automation of Live Streams – This is going to help you in setting and forgetting style of your campaigns in much advanced time frames. Playing with Youtube – Though Youtube might be fine with this now, you don’t know if they would have any concern with these auto live even blasts. Though the product creators claim that they have tested this already … The best thing, i could think of is, try this on a Brand New channel before trying on our main channel. This is currently available in 6 different packages. You will get access to the LiveCast app that allows you to use both of their modules with a limit on usage. You can use this only with 1 Channel & limited number of Streams. You will get access to the Pro version of the tool, which can be used with multiple Youtube Channels & more cool features. But, this is MONTHLY RECURRING cost to you. If you are sure about using this strategy and this tool, this is good to pick up because .. when you will 4 Months FREE when you pay Annually. You will be able to create Slideshow styled videos with in this tool using their Image & Video creator. Though we are not clear on exactly what is this OTO, it looks like you will get access to Complete SEO Analysis App. You will get access to a Lead Gen Software that can help you collect leads. Especially, if you are using local video marketing and ranking their videos. You get access to the Reseller Licenses for this software that you use to make profits, if you wish to chose sell this to others. On the whole, you can see that this tool is going to solve a biggest problem to rank your videos higher. It is doing the Heavy lifting on your behalf and helping you to be available in the right time in the right location. If you would like to get this tool, you can get it by clicking the link below (or any link with in this article). We do receive an Affiliate Commission with No Extra cost to you, if you get this through our link. If you do get LiveVidRanker through our link, you can get ‘Easy Sketch Pro‘ completely FREE of cost. Just click the link and finish your purchase (through our link) and details to download your FREE White Board Animation tool in the email after that. For any reason, if you did not receive the link, just send us an email with your receipt id and we’ll take care of it.